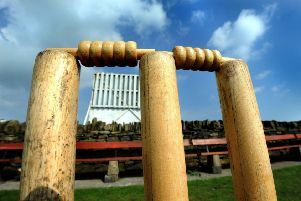 Anirudh Singh scored a century and spinner Paul Rutherford bagged four wickets for the second time in a week as Ashington secured their third maximum points victory of the season against Annfield Plain at Langwell Crescent on Saturday. Consequently, the Colliers consolidated their position at the head of the A1 division of the Go North East Northumberland & Tyneside Senior League. After winning the toss for a third week in succession, home skipper Greg Williams had no hesitation in electing to bat – and looked on as his charges made a positive start through openers Neil Wood and Singh. The pair had put on 58 for the first wicket when the former was bowled by Oliver for 20 in the 17th over. Singh and Jack Jessop continued to build on the solid foundation, but after figuring in a partnership worth 72, Hawdon broke through, trapping Jessop leg before for 21. The in-form Ben O’Brien was next at the wicket and continued in his rich vein of form along with Singh as the duo maintained the scoring tempo in another 70-plus stand in 14 overs. Singh completed his hundred before finally falling in the 47th over for a magnificent 123 from 138 balls. He struck ten boundaries and three sixes. O’Brien meanwhile leathered three hits over the ropes in a 57-ball unbeaten 69, and with Sean McCafferty also including a six hit in an unbeaten 13, the Colliers closed on 253-3 from their 50 overs. In reply, Matty Collins had Stephenson caught behind by wicketkeeper Daniel Grant in the fourth over, but Ashington certainly did not have things their own way. Townsend and Lewis Donnelly picked runs off at a rate of four an over, and the Colliers were forced to be patient before spin twins Singh and Paul Rutherford struck at the double. The former had Donnelly caught by Collins for 43, then in the next over Townsend was bowled by Rutherford. Singh accounted for Carr then Callum Storey – on his return from the pavilion end – shattered the stumps of Oliver, Newstead and Hawdon. The visitors had slumped from 80-1 to 99-7 and were shot out for 112 from exactly 41 overs with Rutherford taking the final three wickets of Blake, Newton and Graham to end with figures of 4-6 from ten overs, five of which were maidens. Callum Storey claimed 3-18 from 11; Singh 2-20 from 12 and Collins 1-31 from three. Match sponsor: Ian Bell, Kestrel Plumbing and Heating Services. On Saturday, Ashington are away to Newcastle City. In midweek the Colliers won their League Cup match against Percy Main by eight wickets. Percy Main: 91-5 (Anderson 32, M Collins 3-24); Ashington 97-2 (Singh 49, O’Brien 31 not out).